When we hear that there are 613 mitzvot in the Torah, there is a temptation to give up and say, “Well, I’ll just try to be a good person. That’s all Judaism really wants.” But it’s not. Yes, we need more good people in the world. We desperately need more good people! But we also need good Jews, and being a good Jew is about much more than being kind to others. It’s about being commanded – hearing God’s call to be different, to be special, to be… holy. That can seem overwhelming, but it doesn’t have to be. Pesach presents us – all of us, not just “religious” people – with the opportunity to fulfill one of the major mitzvot of Jewish life: to celebrate the Exodus from Egypt, to celebrate the gift of freedom, by eating matzah rather than bread for seven days. And as it says above, you can do this. Let’s be honest: we will not die from skipping bread and cake for a week. It won’t affect our health, and it’s not even that difficult to do. Yes, it’s inconvenient – especially this year when the kids will have school, most of us will have work, and when no one other than Jews is focused on the holiday. It may take packing a lunch from home, or sticking with salad (no croutons) and fruit for a few days, but it won’t kill us. What it will do is reconnect us with our People – with the whole, worldwide Jewish People – in one of the oldest celebrations on earth. That’s good for the Jews, and it’s good for us, too. Something happens to us when we do something just because we’re Jewish. There is a satisfaction that we accomplished something which is uniquely our challenge, and we rose to meet it. More important, doing this starts to break down the wall which we created, between us and “religious” people. Because as long as we think that only “they” do Jewish things, we surrender our full membership in the Jewish People and in Jewish life; we surrender our heritage. All because we are unsure that we can commit to doing what Jews are commanded to do. It’s just not true. If you think there are Jews who follow all 613 mitzvot, you’re wrong; no one does. And if you think that only people who dress in black hats and coats can be “religious,” you’re wrong about that, too. 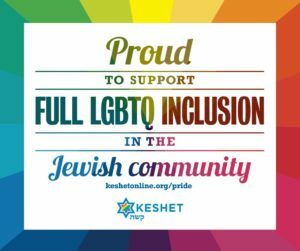 Years ago, I first heard the idea that Jews are not the chosen people; we are the choosing people: When we choose to do Jewishly, we affirm our place in a long line of people who, themselves, chose to do Jewishly. Yes, it’s inconvenient. And that’s the real challenge for us – for all Jews, now and forever: understanding that mitzvot are, by definition, inconvenient. Arranging a brit milah for a newborn is inconvenient. Shlepping children to religious school week after week and year after year is inconvenient. Taking time off from work for a Jewish holiday is inconvenient. Finding the Hillel on a college campus is inconvenient. Keeping kosher, keeping Shabbat, working in a soup kitchen… the list of inconvenient Jewish activities is really, really long. But what would Judaism be without them? What would Judaism be without you? Yes, it will survive even if you don’t do anything Jewish at all. But it won’t be as strong, or as good, or as likely to be part of the lives of those you love if it’s not part of your life, whether it’s convenient or not. Our family’s seder changes every year. We have different people at the table, different discussions, different readings that enhance the words of the haggadah. But two things are constant for us: we have lots of people, and we don’t have bread. Not on the first night, or the second. Or the third, fourth, fifth, sixth or seventh. And on the eighth night, you’ll find us at the pizza parlor because pizza is the doughiest food we can think of! The pizza always tastes especially good at the end of Pesach, both because it’s good to eat hametz again and because we know that we, together with Jews around the world, have been given a special legacy to preserve and pass on. There is a deep, fulfilling satisfaction in fulfilling a mitzvah completely, from beginning to end. Shira and I wish you and your loved ones a Pesach filled with joy, health, family, friends, good food and everything else your heart desires… except hametz!